An international leader in the production and supply of lights and decorative lighting elements for theme parks and funfairs, combining thirty-year experience with innovation. Imel Park offers the widest possible range of led bulbs to create special decorative light effects, together with a full range of bulb sockets and accessories for a variety of perfectly safe installation solutions. Multi-coloured cabochon lights have always been a particular speciality of Imel Park and a wide variety of recessed and protruding models are available in a range of shapes, sizes and designs, in order to enhance any type of installation, both indoors and outdoors. The bright materials are extremely resistant to wear and tear. Cabochons, bulbs, bulb sockets and accessories aredesigned, produced and sold directly by Imel Park. Our skill in making these elements also allows us to offer a wide range of decorative articles and signs. The multi-coloured (Red, Yellow and Blue) led bulbs today offer spectacular solutions even with transparent cabochons, and by combining them with electronic switchboards, an endless range of solutions can be created for illuminated signs and systems. 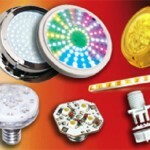 Thanks to led technology, our products are continually evolving in order to offer new effects with lower overheads and significantly reduce both energy costs and environmental impact.Our plastic components are top quality because of Imel Park’s close synergies with Bear Plast spa, a leading plastic parts manufacturer of which Imel Park is a subsidiary.